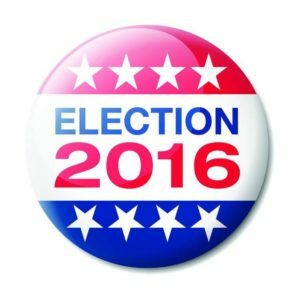 Every election, I publish a Voter Guide trying to identify the most progressive candidates running for office in Alameda County. I do as much research as I can on the candidates, send out questionnaires and meet with them when possible. And yet, often times I get it wrong. I recommend a candidate who then turns out to be less than progressive while in office. This time, I’m being more cautious. I’m only recommending candidates who are bona fide progressives, who supported Bernie Sanders in the primary, and have a record of standing up for social justice and civil liberties. In cases where there are no such candidates in a race, or where I’m not exactly sure of just how progressive they are, I’ll tell you how I will or would vote, but I won’t make a formal recommendation (unless it’s to avoid voting for a particularly conservative choice). Please leave comments and questions below and check out my Progressive Voter Guide to State Propositions & Local Measures. 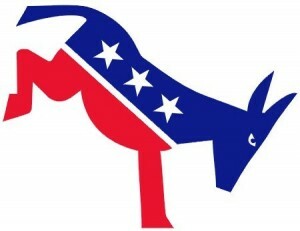 As a member of the Alameda County Democratic Central Committee, I cannot advocate that anyone not vote for the Democratic Party’s nominee or that they vote for someone else. I am therefore not doing either. However, when I ran I made it clear that I could never support Hillary Clinton and I stand by my word. Progressives have three solid choices in California. They can vote for Peace and Freedom Party candidate Gloria La Riva, Green Party candidate Jill Stein or write-in Bernie Sanders. While a vote for La Riva or a write-in vote for Sanders are basically protest votes, voting for Stein will help her get the 5% of the vote the Green Party needs for it to receive public campaign financing in 2020, and thus potentially help push the Democratic Party to the left. I’m voting my conscience and I hope you do too. Loretta Sanchez has accused Muslims of wanting to install a Caliphate and has insulted Native Americans. but she voted against the Patriot Act and against the war in Iraq and has a fairly liberal voting record in Congress. While she eventually endorsed Clinton, she held a fundraiser for Bernie Sanders and she has called on Obama to put a stop to the North Dakota Pipeline. Kamala Harris is pro-mass surveillance, seems to have strong neo-con tendencies and wants the US to kneel before Israel. As Attorney General she has failed to address the epidemic of police brutality against mostly people of color and has refused to investigate the police victimization of Celeste Guap. She is a big Clinton supporter. I’m voting for Sanchez. Barbara is one of the most liberal members of Congress, a strong voice against war and for civil liberties. While she didn’t endorse Bernie Sanders, she also did not endorse Clinton until Bernie was ready to do the same. I’m voting for Barbara Lee. Incumbent Democrat Eric Swalwell faces a weak Republican that is not campaigning and will easily win re-election. Swalwell is a corporate Democrat, a former prosecutor, that has shown concern about student debt and yet endorsed Hillary Clinton. He has shown little interest in protecting civil liberties. If I lived in this district, I’d write in Pete Stark. I first endorsed Ro Khanna when he ran in 2014 and continue to support him. I’m impressed by his expressed commitment to a non-imperialistic foreign policy and to human rights. Alone among all candidates to Congress, he was endorsed by former President Jimmy Carter. Mike Honda was a nice man, but he seems to have lost his mental faculties, is in the midst of a Congressional ethics investigation and is running a disgustingly racist campaign. I’d vote for Ro Khanna. I endorsed Nancy Skinner when she ran on the primary and voted to give her the Democratic endorsement (ultimately, neither candidate received it), but I’m concerned about some of her actions that were directed towards harming the Progressive Revolution that Bernie Sanders has started. I was happy to see Sandre Swanson attend the recent Bernie Sanders rally in San Francisco. They are both strong progressives, though Skinner is a far more effective one. At this point, I haven’t decided whom I will vote for. I’m still undecided. Democratic Incumbent Tony Thurmond is a pretty strong liberal, but he supported Hillary Clinton which gives me pause. However, he’s doing a good job in Sacramento. I’d vote for Tony Thurmond. Incumbent Catharine Baker is a moderate Republican, but some of her votes are inexcusable. For example, she voted to deny farm workers overtime pay! Democratic challenger Cheryl Cook-Kallio is more conservative than I, but she’ll be an improvement over Baker. I’d vote for Cook-Kallio. Incumbent Rob Bonta will easily win this race against an invisible Republican opponent. Bonta is a transactional politician, he is good on Labor issues- because he relies on labor to fill his campaign coffers – but not on civil liberties or other matters without big pocketed donors. I’ll write in Lou Filipovich. Incumbent Democrat Bill Quirk has a mixed record. He voted against the farm workers overtime bill the first time around, but redeemed himself when it came for re-vote. He’s good on surveillance and privacy issues, however. I’d vote for Bill Quirk. I haven’t paid any attention to what Kansen Chu is doing, so I can’t say anything about him. I’d do my research. I have reservation about both candidates and I don’t actually support electing judges. Therefore I’m going to seat this race out. Long term incumbent Chris Peeples faces retired bus driver Dollene Jones. Peeples is a strong progressive, but he has been criticized for supporting the purchase of expensive Belgium made buses and has lost the confidence of some public transit advocates. Jones, meanwhile, didn’t answer my questionnaire because she was afraid someone would steal her ideas. I’ll vote for Peeples. Neither incumbent Greg Harper nor challenger Russ Tillerman responded to my questionnaire or offer to speak. Harper has the endorsement of both the Democratic and Green parties. I’d vote for Harper. Updated: Incumbent Rebecca Saltzman represents my district and she has been extremely responsive whenever we’ve contacted her with any concerns. She has been particularly good on issues concerning surveillance and police brutality, and she voted to not press charges against the BART protesters. She supported Hillary in the primary so I’m not officially recommending her, but I’ll happily vote for Saltzman. Incumbent John McPartland supported prosecuting the BART protesters and would support similar prosecutions in the future, so I cannot recommend him. His challenger, however, is former Pleasanton Mayor Jennifer Hosterman, who did not provide specific answers to my questionnaire. In other interviews, she expressed opposition to Measure RR (the BART bond that will allow for the modernization of the system), while acknowledging that the system does need to be modernized. She seems to be running in an anti-labor platform, and I see no compelling reason to support her. I‘d probably just not vote on this race. Mallet was elected on contractor money, and has shown no interest in being accessible to the community. He did not answer either my questionnaire or the Green Party’s. Mallet, moreover, strongly sided against labor in past disputes. Both the Democratic and Green parties have endorsed Lateefah Simon, but she has not answered my questionnaire, so I don’t know anything about her views on freedom speech, surveillance and policing in BART. Will Roscoe did not answer my questionnaire and Roland Emerson is too pro-surveillance and anti-protest to get my vote (if I was voting in that district). I‘d probably vote for Simon as she’s the most viable candidate against Mallet. Ellen Corbett is my former State Senator. She’s a moderate liberal, with a strong record on consumer rights. She will surely be a competent board member, and her extensive government experience will surely be useful for the park district, but I don’t fully know how much baggage she will also be bringing into this role. She did, of course, get the Democratic endorsement. Daniel Chesmore is a very young, enthusiastic politician-in-the-making. He seems quite progressive, but he works (or worked) for a charter school organization, which gives me a little bit of pause. I’m also a bit concerned that he’s looking to run for something, rather than have a specific interest in parks. Still, he lives in East Oakland and will represent a constituency – that of low income urban park users – that is not otherwise represented. The issues he spoke about in his questionnaire have not been raised by other candidates and I think there is much to be said for having a diverse board in terms of age. Otis Lee Sanders, meanwhile, did not respond to my e-mails. I’ll be voting for Dan Chesmore. William Macedo’s answers to my questionnaire were fine. He received the Democratic endorsement and the Green Party did not endorse in this race (the Green Party usually only endorses in the northwestern part of Alameda County). His opponent, Edralin Maduli, is a Republican and did not answer my questionnaire. I’d vote for Macedo. Updated: I heard both Nick Resnick and Karen Weinstein speak at the Democratic Party interview. Neither seemed to have a deep knowledge of the financial issues concerning the district, but beyond that I couldn’t decide what made a candidate better than the other. I had a long talk with Karen Weinstein, and I’m now confident that I would vote for her if I was in the district. Karen is a psychologist and a counselor, and I think her skills will be useful in bringing professionalism to the Board. She has very progressive political views, she sees community colleges as a fundamental tool for taking students out of poverty, she understands education as a tool for social change and she shares my distrust of police forces. Basically, she is a bleeding heart liberal (despite her unwise support of Hillary Clinton). Resnick, with whom I haven’t spoken, has awoken the distrust of organized labor because of his ties with a charter school organization. I’d vote for Weinstein. Water and sanitary boards are usually made up of engineers and people with technical knowledge. None of the races this time are in my district, so I’m weary of making recommendations. Plus, incumbents are pretty much always re-elected to these races. So, for these races, I will allow myself to make recommendations that come from my heart, not necessarily careful analysis. He’s very young, energetic, has done his homework on water, seems fairly progressive and would bring a different perspective to the board. This is pure cronyism. John serves with me at the ACDCC, and he’s a lovely, wonderful, super progressive, retired union worker. I just love him. He may not have the expertise of the incumbent board members, but there is something to be said about having good, decent human beings be in positions of power. Dan is another decent human being, more conservative than I in many ways, but a good man. He is a chemical engineer who just LOVES water treatment plans and knows everything about everything connected to garbage. He’s also smart and fiscally conservative, so a good person to have in a board. But mostly, I recommend him because he really has a childish enjoyment of water treatment plants that I find so cute. He is the only incumbent I’m recommending. Chike is a Nigerian immigrant who has written a book about the social implications of Nigerian accounting practices. How cool is that? No progressives are running on this race and there are just no good or even mildly acceptable choices. None of the candidates responded to my questions or invitation to speak. Malia Vella is probably the worst of the bunch. She is a political operative with endless political ambitions. She has moved around different jobs working for Democratic politicians and unions, and likes to work behind the scenes supporting candidates that can help her political career. She is originally from San Leandro, where she has backed candidates that support mass surveillance and police militarization, while opposing rent control. Labor has poured tens of thousands of dollars into her race and she’s supported by the Firefighters union and the conservative Alamedans United PAC. The Green Party recommends voters do not vote for her, while the Democratic Party had endorsed her. Incumbent Marilyn Ashcraft has also received the endorsement of the Democratic Party and the anti-endorsement of the Green Party, and is also supported by the Alamedans United PAC. She has an undistinguished record as a Council member. Tony Daysog is a self-described conservative who opposes rent control. Lena Tam voted to militarize the Alameda Police when she previously in the City Council. Jennifer Roloff is the only newcomer and she got the Green Party’s endorsement, but she didn’t reply to my questions. I’d probably just vote for Roloff in this race. Gray Harris is a former teacher who has been active in Democratic politics. She is very progressive and I’ve heard she’s a great teacher. She was appointed to the Board and apparently she is doing a fairly good job. She isn’t a Berniecrat, however, otherwise I’d recommend her. Ardella Daily, Matt Hettich and Jennifer Williams did not answer my questionnaires, while Dennis Popalardo did, so he would get my second vote by default. I had a great meeting with Anne McKereghan, and while she’s definitely more conservative than I am, I was impressed by her personal commitment to Alameda schools, where she has been a parent volunteer for many years. I would vote for Gray Harris, Dennis Popalardo and Anne McKereghan. These are two very technical positions and I did not research how good a job the incumbents were doing to be able to make a recommendation one way or the other as to whether to vote for them. I’d vote for the incumbents in both races. The only candidate to answer my questionnaire was Amber Whitson, though Nick Pilch has reached out and I’m trying to schedule an interview. If I was in Albany I’d probably vote for Amber, just to bring a new voice and a very different perspective to the City Council, but she probably lacks the knowledge of City Hall that would make her an effective council member. Incumbent Michael Barnes refused to answer my questionnaire, claiming he was no longer a Democrat. The Green Party recommends you vote against him given his history of vitriol and personal attacks in public fora. As mentioned, Erik Giesen-Fields and incumbent Peter Maas did not return my questionnaire. I’d probably vote for Whitson and Pilch on this race. Kim Trutane, Jon Raj Destin and Clementina Duron all seem well qualified, progressive candidates that would do a good job in the Albany School Board. Jacob Clark, a teacher in San Leandro schools no less, did not return my questionnaire or the Green Party’s. I’d probably vote for Trutane and Destin. Berkeley has ranked choice voting. Darryl Moore did not respond to either my questionnaire or the Green Party’s and he has consistently voted with the regressive forces in the Berkeley City Council. Cheryl Davila is a strong progressive who has the guts to say she’s voting for Jill Stein – in a year where Stein supporters have been harassed and insulted ad infinitum by establishment types. Then again, so is her opponent Nancy Armstrong-Temple. Both come highly recommended by progressive activists I respect very much. I believe they both will champion social justice and human rights in Berkeley. Davila returned my questionnaire, so I’m more inclined to vote for her first. I’d ranked choice vote 1) Davila and 2) Armstrong-Temple. Sophie Hahn is a strong progressive, with a history of women’s rights and human rights activism, as well as with deep involvement in her own community. She is supported by and will vote with the progressive side of the Council. She has my full endorsement. I’d vote for Sophie Hahn. Incumbents Beatriz Leyva-Cutler and Judith Appel are typical Berkeley progressives and seem competent in their positions. I would probably vote for them if I was a Berkeley resident. Challenger Abdur Sikder did not return my questionnaire and his answers to the Green Party’s one were uninspiring. I’d vote for Leyva-Cutler and Appel. This is the progressive, pro-rent control slate. And they’ve actually been endorsed by Bernie Sanders! I’d vote for Soto-Vigil, Murphy, Simon-Weisberg and Tregub. I received answers to my questionnaire from Tojo Thomas and heard Lavender Whitaker and Monica Lee speak at the Democratic endorsements. The three are supported by the teachers’ union. Suresh Gupta and incumbent Jo A.S. Loss did not return my questionnaires. I’d vote for Thomas, Whitaker and Lee. The Mayor is a Republican while his opponent is a perennial candidate, who has run for an office or the other for the last 28 years. I’d do a funny write-in. UPDATED: Arun Goel is a strong smart growth, clean money, Bernie Sanders progressive. He’s served in the Planning Commission and is concern about transparency and dirty money in city politics. I met with him for a couple of hours, and I was very impressed with his integrity and the value he puts on community input and evidence and policy-based decisions (as opposed to lobbyist based). He faces a strong challenge from Melissa Hernandez Strah, Mona Lisa Ballesteros and Republican appointed incumbent Doreen Wehrenberg. Hernandez Strah and Ballesteros both got the endorsement of the Democratic Party, after being put on consent by the Executive Committee. In the Tri-Valley, the Democratic party usually endorses candidates that support developer interests as the Democratic party vice-chair for that district, Angela Ramirez-Holmes, works as a lobbyist for developers. Meanwhile, Alameda Central Labor – which is often interested in backing candidates that will create construction jobs – endorsed Hernandez-Strah and Wehrenberg, despite the latter being a Republican. I’d vote for Goel. (Note: this section has been updated to give the reasons why I suspect that developers are backing Wehrenberg, Hernandez-Strah and Ballesteros – though it may very well be that they just want to make sure that Goel does not get elected). I didn’t get back questionnaires from any of the people running and I haven’t researched the candidates. Emeryville’s two blogs have done a great job of interviewing candidates, and I’m still not done going through all their answers. Barbara Inch gave great answers both to my questionnaire and the Green Party’s. She is a Clinton supporter, however. She got both the Democratic and Green party endorsements. Cruz Vargas didn’t answer either questionnaire and Ken Bukowski answered the Green Party’s but not mine. I was not impressed by his answers. Still, Emery School Board President John Affeldt just resigned, so there will be one more vacancy in the district, so it’s likely that whoever doesn’t get elected will get appointed. I’d vote for Barbara Inch. Current Mayor Bill Harrison is a Democrat and active in the party, but he takes copious campaign contributions from developers and votes to do their bidding. He has also voted for mass surveillance and against allowing marijuana cultivation or the delivery of medical marijuana within Fremont. Challenger City Council member Lily Mei shares his anti-civil liberties agenda, but does not take money from developers or is a guaranteed vote for developer interests. She’s running in a slate with Cullen Tiernan and Vinnie Bacon, whom I do support, but as a School Board members he voted to prohibit an AP English teacher from teaching an award winning book because she objected to the subject matter. Neither Harrison nor Mei responded to my questions or request to talk. Click on their names to read my full explanation for this recommendation. I’d vote for Tiernan and Bacon. Fremont has four good candidates for School Board, who seem to have similar ideologies and commitment to education. Ann Crosbie has been in the School Board for a while and is active in the Democratic Party. Desrie Campbell, has been there for a term and she brings a diversity perspective that may otherwise be lacking in the Board. Michelle Berke is a special education teacher, specializing in deaf education and Dax Choksi is a techie dad wanting to bring that emphasis into the district. They are all intelligent people, even if not as progressive as I might like (Crosbie, Campbell and Choksi filled out my questionnaire and suggested they were Clinton supporters, Berke and Hiu Ng did not fill it out). I know Ann Crosbie the best, and despite her Hillary-ism, I’d probably vote for her. She is extremely knowledgeable about the schools, she is committed to education and she would not ban important books from being taught in AP classes, as other Board members have before. I also really liked Berke’s energy. Alas, I’m uncomfortable about recommending the two white women who are running, as it makes me wonder whether I’m responding to a hidden bias in myself. So I’d probably just go with my gut on voting day. 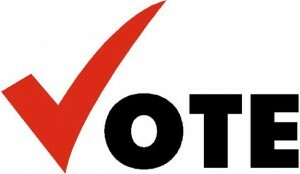 School Board (choose 3): Don’t vote for incumbents John Taylor, Luis Reynoso and Annette Walker. Updated: The Hayward School Board is a big mess. Incumbent candidate John Taylor actually took advantage of the district’s print shop to get heavily discounted printing done for his business and City Council campaign, and then didn’t even pay for it. He also had the n0w-fired Superintendent act as his Campaign Treasurer, a pretty big conflict of interest. Meanwhile, the Superintendent was giving contracts to former Board members and the Board is in complete disarray, with members fighting and insulting each other. Hayward schools now need a new Superintendent, but nobody will want to work with the existing Board, so it’s time to vote all the incumbents away. Some community members have gotten together and created a slate with candidates Daniel Goldstein, Robert Carlson and Todd E. Davis. Of the three, only Davis was able to get the endorsement of the Democratic Party. Carlson is a Republican. Wynn Grcich is a Republican and I couldn’t find any information, including contact info, on Joe Ramos. If I was in Hayward, at this point I’d vote for Todd Davis and Daniel Goldstein. Jeff Wang was the only candidate to answer my questionnaire, but his answers were intelligent, well thought out and progressive – which is puzzling given that he is a registered Republican. I never was able to figure out a time to meet with Lance Nishihira, but based on his blog, he sounds like an intelligent progressive candidate. I could make no such determination about Sharan Kaur, who gives very little information about her views on her webpage. Meanwhile, incumbent Jonas Dino does not seem to have even bothered with a web page. After 16 years as a School Board member, he may feel like he doesn’t need it. Alas, I couldn’t find much about him beyond the fact that he is an independent and was in the School Board when the district was sued by the ACLU for violating students’ fourth amendment rights (they settled). Finally, appointed Michael Ritchie actually refused to answer my questions. If I was a voter in Union City, I’d vote for Wang and Nishihira. Oakland has ranked choice elections. Matt Hummel is a former Occupy Oakland and Bernie Sanders activist, deeply involved with the community. He’s currently the Chair of the Cannabis Regulatory Commission. He supports all the right things and would be perfect to have in the Council. However, he may be too progressive even for Oakland so the ranked choice system was created just for candidates like him: so you can vote for them first, without having to worry that you’ll be splitting the progressive vote and letting a conservative win. Your second choice vote thus should go to incumbent Rebecca Kaplan. Kaplan is sometimes too much of a politician, and often it takes her too long to throw her weight behind the right issues, but she ultimately does and she’s a strong progressive vote on most issues. Her help defeating the DAC and establishing the police accountability commission was invaluable. Rebecca was a strong Bernie supporter during the primary and spoke at Bernie rallies. I had a long meeting with Bruce Quan and came out impressed by his intelligence, his vast experience and his willingness to spend his own money to run a campaign he’s unlikely to win because he’s tired of the cat fighting at the City Council and the lack of progressive change in Oakland. He seems very concerned about reforming the police, creating real affordable housing and dealing with issues of gentrification. I’m recommending him third because he wasn’t as prominent a Bernie backer as Kaplan was. Whatever you do, don’t vote for Peggy Moore or Nancy Sidebotham. Sidebotham seems very conservative, she’s against the police commission, rent control and pretty much everything. Moore, meanwhile, is running to be a vote for Mayor Libby Schaaf in the Council (she’s currently Schaaf’s Senior Advisor), was political director for Hillary Clinton, and she actually shoved a Sanders delegate and the Convention and lied to get his credentials pulled. Moore has been accused of bullying behavior in other instances, and that cannot be tolerated in an elected official. I’d vote for 1) Hummel, 2) Kaplan, 3) Quan. Dan Kalb is not always my favorite politician. He often seems to lack initiative and the courage to go against the establishment, but he usually ends up voting the right way and supporting human rights and civil liberties. He also has deep concerns about social justice issues, including affordable housing and homelessness. He can be too political, however. For example, when I ran for re-election for Central Committee, he endorsed all the incumbents plus Peggy Moore, but not me (I didn’t ask him or anyone else for an endorsement either, because I don’t play these type of political games). His opponent, however, showed at the Democratic candidate forum that he had very poor understanding of how the City of Oakland is ran and that he had not even looked at the budget. That may be acceptable in cities with low quality candidates such as San Leandro, but it doesn’t fly in Oakland. Plus, he will be a tool of the Police Union, which is pouring money and support behind him to punish Kalb for supporting the creation of an independent police commission. Kalb got both the Green Party and the Democratic Party endorsement. I’d vote for Kalb. Noni Session is everything you want in a progressive politician. She grew up in West Oakland, and after going to Cornell for her PhD in Anthropology and spending time abroad doing field research, she’s back at home to make a difference in her community. She was recruited by other neighborhood activists to run because they felt that incumbent was not responsive to their needs. Session is a strong progressive, who registered as a Democrat to vote for Bernie Sanders, and she will be a true champion for social justice and human rights in the Council (and right now, there isn’t one). If you heed just one of my recommendations in Oakland this year, vote for Session. Noel Gallo is too conservative for me to actually recommend him. He is in favor of youth curfews, for example, and he was a supporter of the Domain Awareness Center for quite a while. However, he proved to be a really ally on the fight for an independent citizens’ police commission. His opponent, Viola Gonzales, opposes the Commission and has received the support of the police union. Gallo got both the Democratic and Green party nod. I would vote for Gallo. Incumbent Larry Reid has been MIA at the Oakland City Council for years. He often misses Council meetings, he’s inattentive when he does go and is otherwise disengaged from his work in the Council. He does get paid for it, so that probably justifies his running for re-election. Challenger Marcy Hodge failed to impress me at the candidate forum I attended. She ran for Council before, in a different district, prodded by the Don Perata machine and was plagued by scandal when she sat in the Peralta College Board. I was never able to touch base with Nehanda Imara, who is an independent, but I heard wonderful things about her from other candidates that I am recommending. That’s not enough for me to recommend her personally, but if I was in Oakland I’d vote for Imara as my first choice, and leave second choice blank. Incumbent Jody London is a tool of the charter schools association, she’s supported by them and has done their bidding. Don Macleay, meanwhile, is a solid Bernie Sanders’ progressive. He’s intelligent, thoughtful, is a dad so he has skin on the game, and takes issues of educational policy seriously. He’s been endorsed by the teachers union, Labor, the Green Party and progressive politicians. Update: Since I wrote my recommendation, I found out that Macleay was an internationalist working in Nicaragua in the 80’s. Among other things, he helped build a power plant for a rural community. Since then he has become more convinced that education is the avenue for social change, and he is committed to seeing it happen in Oakland. Check out this documentary about his work in Nicaragua. I’d vote for Macleay. Mike is an extremely knowledgeable and committed education activist, who has become a rallying force behind the anti-charter school forces in Oakland. He knows the school district better than Board Members, has gone to every single School Board meeting and has fought to keep public schools open. Mike is also a strong progressive, who understands how a society can be broken by providing substandard education to the disadvantaged. Incumbent Roseann Torres was an ally of charger school forces, though she has since seen the light. She’s an intelligent, dedicated School Board member, and is a solid second choice. The charter school PAC is backing newcomer Huber Trenado and you should not vote for him. I’d vote for 1) Hutchinson, 2) Torres. Chris Jackson is a young, African American version of Bernie Sanders. OK, perhaps the comparison doesn’t really carry, but Chris is a young father in the district, with vast political experience – having served as a community college trustee in San Francisco and worked for labor and legislators -, a thorough understanding of current sociological and political currents, and a personal and family commitment to create real social change. As a parent of two kids who will be in the district soon enough, he also has skin in the game. I spent hours talking to Chris, and I left in love. This is a man with a clear vision and political astuteness who can really make a difference. His opponent, James Harris, is supported by the charter school PAC, does not live in the district (he lives in Sheffield Village, which falls within the San Leandro School District) and sends his kids to Head Royce, the most elite private school in Oakland. I’d vote for Jackson. None of the candidates submitted a questionnaire and I didn’t pursue it further. Hari Titan calls himself the “Bernie Sanders” of Piedmont, and his progressive credentials showed up in his questionnaire. Nobody else bothered to answer it. I’d vote for Hari Titan. I’m not sure that a recommendation from a Progressive Voter Guide will help Julie Testa much in Pleasanton, a city that has no Democrats in the City Council. She was also unlikely enough to not be able to get her statement into the Candidates Guide. However, she is a true progressive who has been fighting against unchecked development and to reform the police. For that reason, the regressive elements in the Pleasanton Democratic Party have opposed her. She has my full support. I’d vote for Testa. All candidates are Republican. I’d write in Testa. I have served with incumbents Valerie Arkin and Jamie Yee Hintzke in the Democratic Central Committee. Both are progressive, caring women, fully committed to making Pleasanton schools the best they can be. They are intelligent, they know the district and I trust their decisions. The only reason I’m not officially recommending Hintzke is that she’s a Clinton supporter and I’m only putting my recommendation behind Berniecrats. I was never able to get in touch with former principal Steve Maher, but I was impressed with the answers that Kathlyn Ruegsegger provided. Alas, she’s a Republican. I’d vote for Arkin, Hintzke and Ruegsegger. Ed Hernandez‘ answers to my questionnaire show him to be a law-n-order conservative that will bend over backwards to please the police union (who did not even endorse him). And his answer on how to keep people in their home was to build more housing – which completely begs the question. I met with Bryan Azevedo. He’s a sheet metal worker, from a humble background, who understands first hand the importance of having a livable wage and affordable housing. Bryan is extremely green, both new to the practice and concept of politics and policy, but he’s a good guy at heart and he seems willing to learn and listen. I think he was a little afraid of me, which is not a bad thing. As a union guy, Bryan will fill Prola’s shoes as the union vote in the Council, and that’s not a bad thing, so I will vote for Bryan Azevedo. Benny Lee and Pete Ballew are both running unopposed for Districts 4 and 6 respectively. Benny Lee is a corrupt politico, with Mayoral aspirations, whose major non-accomplishments in the last four years were to try to raise the Chinese flag over San Leandro and to lobby the Oakland City Council for them to use a garbage company not located in San Leandro, which would cost San Leandro millions in lost taxes. Needless to say, he then received a nice campaign contribution check from the principals in that company. Pete Ballew is a conservative former police officer. Neither should be in our City Council, but they have no opposition. There are no official write-in candidates, but the Alameda County Registrar of Voters generally counts write-in votes, even if they are not for official candidates. So while nobody will see who you wrote in, you might as well do it and stand in opposition to conservative, unchallenged candidates. Incumbent Helen Foster no longer lives in San Lorenzo. She works in Coalinga and spends her week there – it’s outrageous she’s running for re-election. The school district has had horrible conflicts between the administration and the teachers, and it needs a new board altogether. However, incumbent Penny Peck has not been as bad as other Board members and it seems she has finally realized she needs to support parents and students, not the administration. The teachers are supporting Kyla Sinegal and Marilyn Stewart as are fellow Bernie activists. I haven’t spoken with them, so I can’t recommend them, but I’d vote for Peck, Sinegal and Stewart. 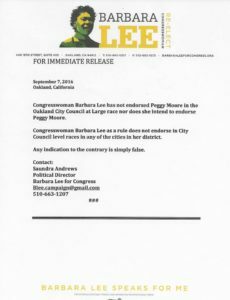 Congresswoman Barbara Lee is not endorsing Oakland City Council At-Large candidate Peggy Moore. And she wants to make sure everyone knows about that. First, there was the e-mail sent to various Democratic mailing lists saying just that. Then, there were the newspaper articles to that effect. 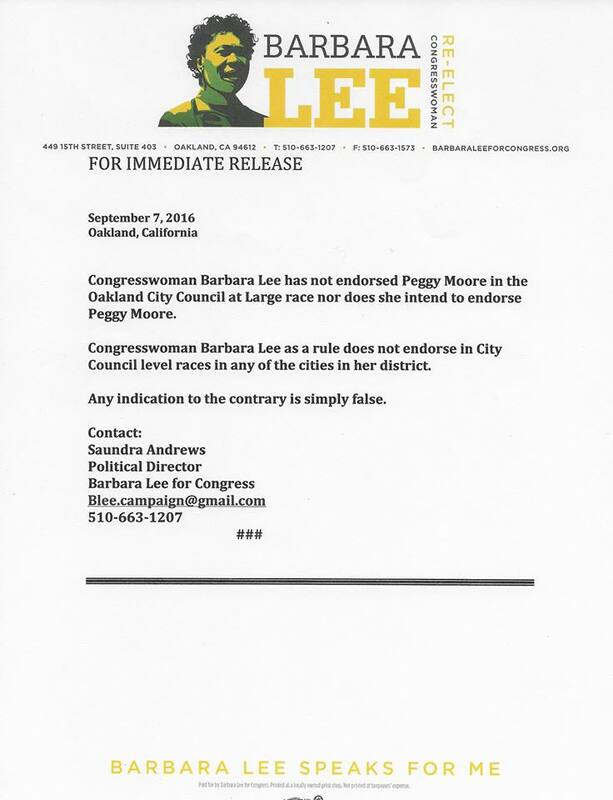 And now, in case there was anyone left who didn’t know that Barbara Lee has not endorsed Peggy Moore, here is a press release wildly distributed to press and non-press. So, in conclusion, Barbara Lee has not endorsed Peggy Moore. The following are my recommendations for candidates that will appear on the ballots for voters in Alameda county. The list only includes those races for which I have a strong recommendation. An asterisk* next to a candidate’s name indicates that s/he was also endorsed by the Democratic Party. A (B) indicates that they are a Bernie Sanders supporter and (i) indicates incumbent. Bernie is the only candidate that actually represents the people rather than corporate interests and Wall Streets. Hillary Clinton has a record of supporting and advocating for wars of aggression, supporting gross human rights violations such as forced disappearance, extra-judicial executions, arbitrary detention and torture, she supports profiting from mass incarceration, supports the death penalty and fought to halve the minimum wage in Haiti to 31-cents an hour so American corporations could make larger profits. Read about the Committee and everyone who is running here. Vincent Casalaina (B): Vincent is very progressive grassroots activist, he is with PDA and was an early Bernie supporter. Andy Kelley (B) (i): A young LGBT and Democratic party activist with strong leadership potential. Ces Rosales: A strong feminist and LGBT activist, Ces is a very independent thinker, even if she supports Hillary. Len Raphael (B): Intelligent, thoughtful and has an insurgent streak. Margarita Lacabe (B) (i), that would be me. Kamala Harris* is pro-mass surveillance, seems to have strong neo-con tendencies and wants the US to kneel before Israel. As Attorney General she has failed to address the epidemic of police brutality against mostly people of color. Loretta Sanchez has accused Muslims of wanting to install a Caliphate and has insulted Native Americans. but she voted against the Patriot Act and against the war in Iraq and has a fairly liberal voting record in Congress. They are both Clinton supporters. A better option seems to be Steve Stokes – who has a very progressive agenda, very close to Bernie Sanders’. 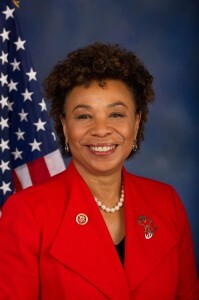 Barbara Lee is a staunch liberal and an overall good representative. in CD 17, Democratic incumbent Mike Honda* is in the midst of an ethics investigation. I’ve written more about Ro Khanna here. I’m making no recommendations in CD 15, as Eric Swalwell* is a conservative Democrat who supports Hillary Clinton. Nancy is not only the most progressive candidate in this race, but she is also an extremely effective legislator. And she’s been a great ally on issues ranging from civil liberties to fighting poverty. All the Democratic candidates running for Assembly in Alameda County support Hillary Clinton. I met with David Lim and was very impressed with his openness and honesty and his concerns for the community. It felt very real and very personal. I was also impressed on how fair Lim is. He worked with one of the other candidates and he was very frank that his opponent would also make a great judge. I reached out to his opponent on several occasions, but I never heard back from him. The third person in the race for office 1, Barbara Thomas, is a defense attorney (though she’s running as a “victims’ rights attorney) and former City Councilmember with a rather problematic reputation in the legal profession and I fear she would make a terrible judge. She’s reportedly considering suing the City of Alameda over their rent control ordinance. I was also impressed with Jennifer Madden, who is running for another judge position. She has done a lot of work on human trafficking and seems to be committed to be a fair judge. Judges are not allowed to endorse other political candidates. Both incumbents are very knowledgeable and very committed to education, in particular with kids in challenging circumstances. McWilson is my colleague at the Democratic Central Committee and I find him to be a thoughtful, independent and fair voice. The three incumbents, whom I had previously recommended, support Hillary Clinton. I’m making no recommendations on this race. Thiel is a Biology teacher in Pleasanton who is actually passionate about water and the environment. I can’t think of someone better for that job. We need to restore the Bay. This may not be the best possible way of doing it, but it may be the only way we have. Prop 50 gives the Legislature the ability to suspend elected members without pay. I find this problematic, as it could lead to the Legislature suspending members due to purely political disagreements, and by withholding pay, they would make it very difficult on the Member to fight back. In addition, a suspension would mean that the constituents of that Member would not have representation in the Legislature, which I believe is very undemocratic. The Legislation already has the ability to expel members. Barbara Lee, Please Speak For Me! Barbara, what’s going on? I see lots of photos and nostalgia on your Facebook page, and not a word about the senseless Israel attacks on Gaza, the over 200 Palestinians who have been killed – so many of them children and elderly people -, the 100,000 who have been left homeless. And I see nothing about the Central American children coming to this country after we destroyed their economies and destabilized their governments. They are escaping poverty and violence. And nothing about the recent revelations that the NSA & FBI are reading through the actual e-mails of Americans not suspected of anything. Some because they’re Muslim, others because they have contacts who are “other”. What happens to “Barbara Lee Speaks for Me” when you are not longer speaking?